HI! My name is Catelyn (Cat-a-lin). I was found in the Tampa Bay area as a stray on Dec 18, 2015. I had to spend Christmas as well as my birthday in the shelter. 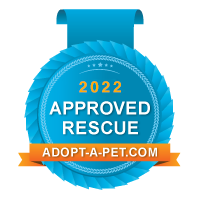 Luckily I was rescued by Furever Paws Animal Rescue and am now available for adoption! I enjoy car rides, and am well tempered when I am one on one, but the volunteers at FPAR are evaluating me now and will soon update this page.